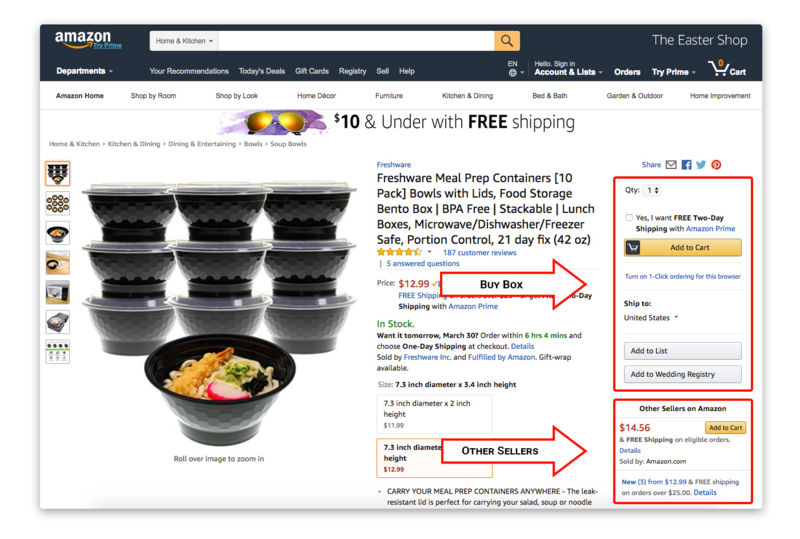 The buy box is one of the pivotal topics to understand when you’re selling on Amazon because most of sales occur using Amazon's buy box. 1. Over 80% of sales come from the buy box. Usually customers click on "Add to Cart" to by an item. And they do not look for the small line that says "Used & new". The percentage is even higher for mobile purchases. So if your goal it to get more sales, you need to win the Buy Box. Amazon may rotate the buy box throughout the sellers that are eligible for it. Such rotation depends on Amazon's algorithm. For instance a Prime member wants to buy an item. A seller may get the buy box not because he or she has the lowest price, but because of the item's location in the FBA warehouse. Amazon should deliver the item within 2 days. It is easier if the item is located closer to a buyer. Surely price is most important but performance metrics and geography also matter. 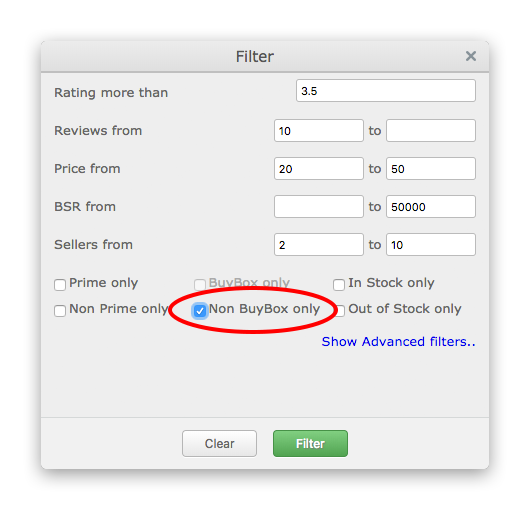 Used items aren’t eligible for the regular Buy Box, however they can be sold on a separate Buy Used Box. You can't win the Buy Box if you're out of stock. 7. You will not win the buy box quickly. Unless you sell a new item and you are the only one seller. Otherwise it may take 3-6 months. If your business model is dropshipping and you want to start selling asap. You may look for products without Buy Box or for products that are temporary Out of Stock. ASINSpotlight can quickly find such products for you. Now you know what it takes to win the Buy Box. Keep in mind that every metric is important and achievable. And don’t forget that ASINSpotlight can help you to quickly find profitable products to sell.